Marinate shrimp in olive oil and salt for approximately 15 minutes before cooking. In a large skillet sauté the shrimp over high heat for 1 minute. Then add the chile and garlic and sauté for another minute. Add the lemon juice and tequila; let it cook for approximately 2-3 minutes over low heat. Then add the cubes of butter, add salt and pepper to taste and let stand for 2 minutes before serving. In a bowl add the avocados, lemon juice, lemon zest, cilantro, onion, jalapeño chili and olive oil . 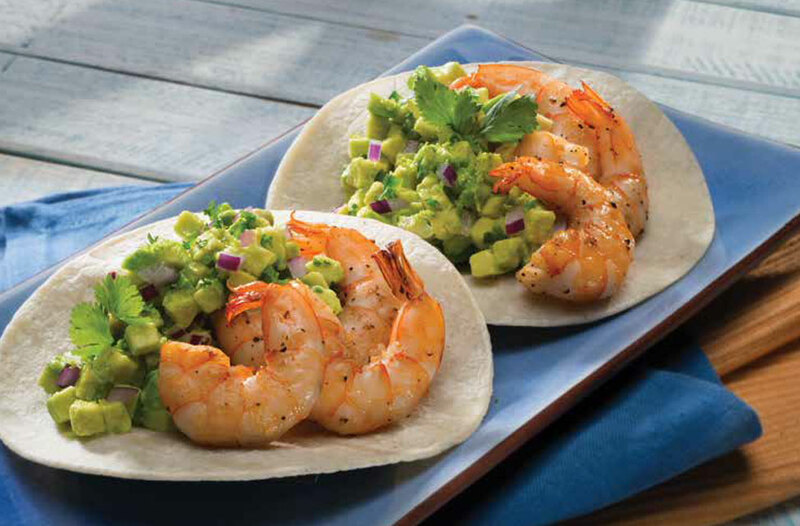 To serve, place a bit of shrimp on a tortilla with avocado sauce on top.